Investing in your home by remodeling or renovating is an excellent way to increase its value. However, a significant renovation project can quickly turn into a disaster, especially for those who are inexperienced. Let’s take a look at four of the more common home renovation mistakes that homeowners make and how you can avoid them. The first mistake you will want to avoid is undertaking any home renovation without the required permits. While some remodeling projects will not require a permit, others will. Regardless, it is more than worth taking the time to do your research to ensure you do not run afoul of the law. A visit to the city’s website or a quick phone call is all you will need to find out if a permit is required and how much it will cost. A great way to ruin your renovation is to be too afraid to transform the space into whatever best suits your family. Try to avoid being trendy and going with renos that you saw recently on television. Instead, consider how you currently use your kitchen, bathroom or whatever other space you’re changing and improve it for the better. When it comes to contractors, going cheap is rarely a good idea. You want someone who is going to do the best quality of work at a fair, affordable price. Moreover, since you’re investing in that contractor, it is best to also invest in using high-quality materials for the job. Also, don’t be the type that skimps on costs just because something isn’t visible. A good example is if your contractor recommends that you install something like a bathroom membrane system. Yes, it’s an extra cost that is mostly a preventive measure against mold getting under your tiles. However, it is a small consideration in protecting the more substantial investment you’re making in upgrading your home. As the old saying goes: “measure twice, cut once.” Changing your mind in the middle of your renovation is almost certainly going to cost you. Once you commit, try to stick to the plan unless circumstances force you to make a change. These are just four of the many mistakes that can be made by an inexperienced home renovator. 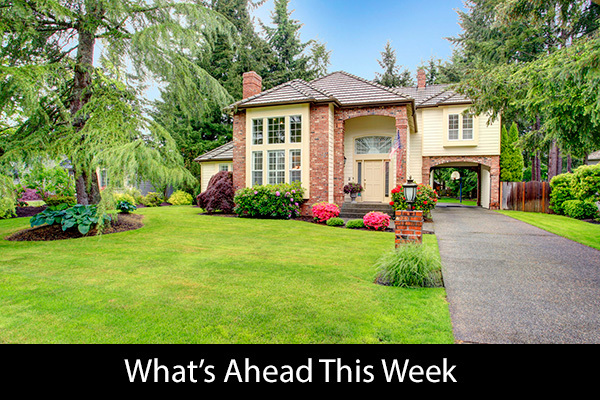 Last week’s economic news included readings on Case-Shiller home prices, construction spending, and consumer sentiment. Labor sector readings on private and public employment and the national unemployment rate were also released. Weekly readings on mortgage rates and new jobless claims were also released. Home price growth approached a record set in 2006 in August, but analysts said that affordability and the shortage of homes for sale could signal slower growth ahead. David M. Blitzer, Chairman of the S&P Index Committee, said that while home prices appeared to be “unstoppable,” signs of slowing momentum could signal the end of rapid home price growth. Case-Shiller’s national home price index reported a seasonally-adjusted annual growth rate of 6.10 percent as compared to July’s corresponding reading of 5.90 percent. The 20-City Index reading was 1.80 percent short of the record set in 2006. Seattle, Washington led home price growth with a reading of 13.20 percent year-over-year. Las Vegas, Nevada held second place with a seasonally-adjusted annual growth rate of 8.60 percent and San Diego, California held third place in the 20-City Index with a reading of 7.80 percent. While the West continued to post highest home price gains, some home price gains are leveling out. San Francisco, California, which posted double digit home price growth in recent years, posted 6.10 percent growth year-over-year and a negative reading of -0.10 percent in August as compared to July. September construction spending rose due to public works projects and housing construction. This was good news as a shortage of available homes has daunted real estate sales in past months. Building more homes is the only solution to the ongoing shortage of homes for sale. Construction spending 4ose0.30 percent in September as compared to an expected reading of no change, which was based on August’s reading of 0.10 percent. Freddie Mac reported no change in the average rate of 3.94 percent. Average rates for a 15-year mortgage and a 5/1 adjustable rate mortgage were each two basis points higher at 3.27 percent and 3.23 percent respectively. Average discount points were 0.50 percent for all three mortgage types. The President is expected to announce the appointment of a new Federal Reserve Chair this week, which could impact interest rates either way. First-time jobless claims were lower last week with 229,000 claims filed as compared to expectations of 235,000 new claims filed and the prior week’s reading of 234,000 new jobless claims. Private-sector employment grew by 235,000 jobs in October as compared to September’s reading of 110,000 new private-sector jobs. The Commerce Department reported 261,000 new public and private-sector jobs in October. Analysts expected 325,000 new jobs, but September’s reading was adjusted to 18,000 new public and private sector jobs added. The national unemployment rate dipped to 4.10 percent as compared to an expected reading of 4.10 percent and September’s reading of 4.20 percent. Consumer confidence grew to an index reading of 125.9 in October as compared to analysts’ expected reading of 121.3 and the prior month’s reading of 119.5. Are you looking to buy a new house in the near future? If so, one of the choices you will face is constructing your own brand-new home or buying an existing home. The idea of building a new house on the right piece of land might sound enticing, but what if you could have a larger, more luxurious existing home in the same neighborhood for a much lower cost? As you might imagine, there are pros and cons to each kind of home. In today’s blog post we will explore whether you should build a new home or buy an existing one. Let’s get the obvious out of the way first. If you can afford the combined cost of the land, the house and all of the furnishings, then building a new home is an amazing experience. It is the chance to completely customize everything about your home, right down to having your family put their handprints in the foundation. You will be able to design the garage, media room, bedrooms, bathrooms, kitchen and everything else exactly the way you want it. The house will truly feel “yours,” as it’s built in your vision. 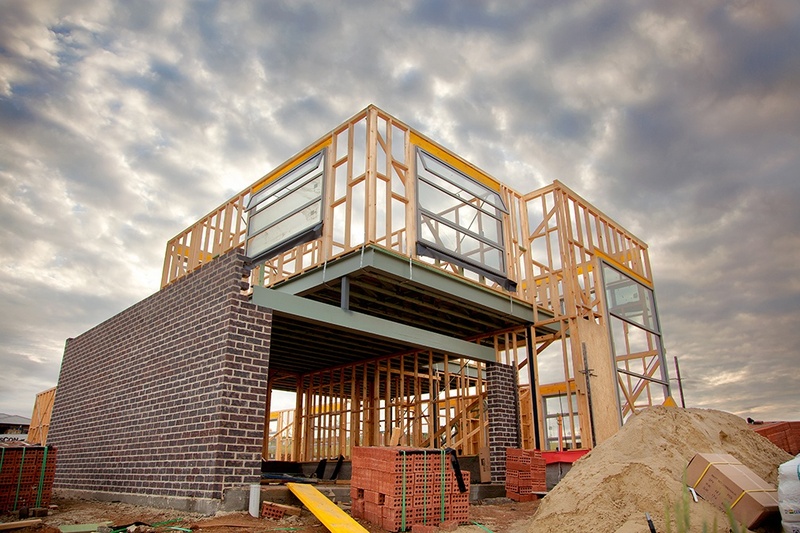 Aside from the higher cost, there are other potential downsides to building a new home. Between permits, booking contractors, wrapping up all of the necessary paperwork and construction time, building a new home can be stressful. It can also take much longer than buying an existing home outright. Buying an existing home has its upsides as well. It’s almost certainly going to be a much faster process than trying to build your own home from scratch. As long as you can find suitable listings, you can typically purchase and move into an existing home within a few weeks. You can also customize it to your liking, although not to the extent that you would with brand-new construction. It’s also likely to be less expensive, although that depends on a variety of factors including the city you’re buying in, the real estate market, the size of the home and more. In the end, the choice comes down to budget, timing and personal preference. However, whether you decide to build new or you are okay with a lovely home that already exists, our professional mortgage team is here to help. Whether you’re a first-time homebuyer or an experienced real estate investor, if you are planning to borrow funds to buy a home you will want to choose the right mortgage product. 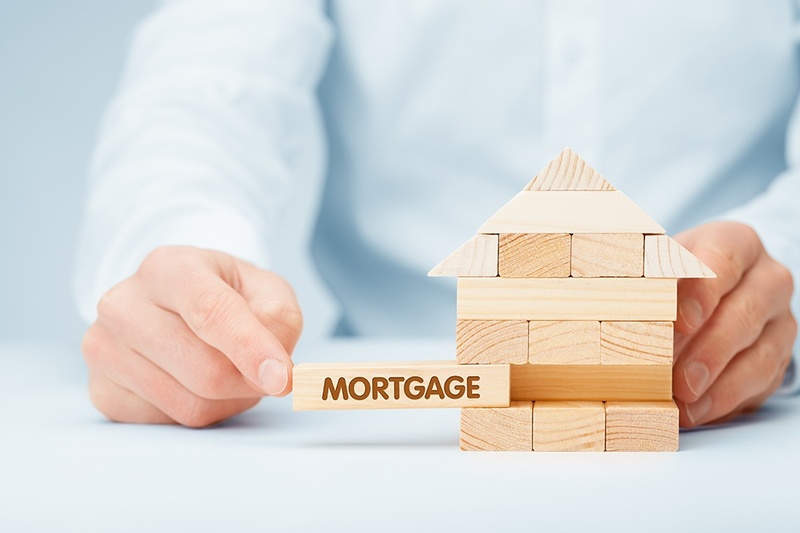 In today’s blog post we’ll explore how interest-only mortgages work and why they’re the perfect choice for some homebuyers. 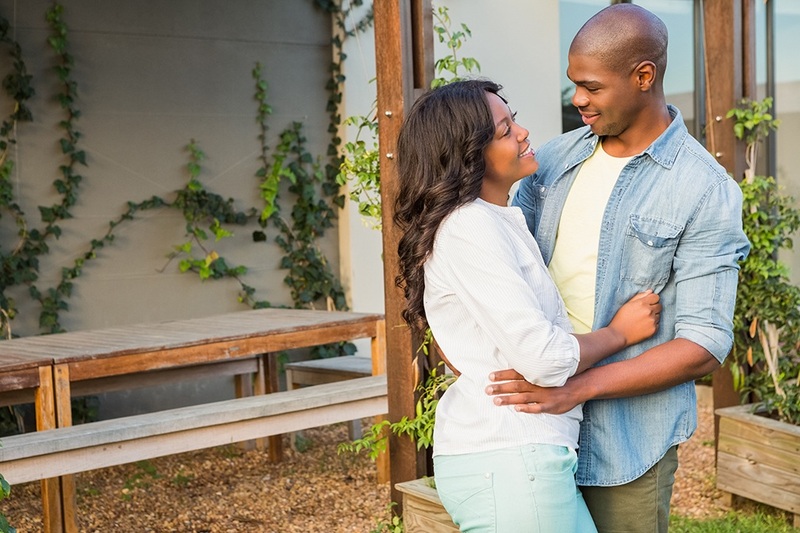 Interest-only mortgages are a popular choice because of their many upsides. Your monthly payments are almost certainly going to be far lower during the interest-only period. This is because you’re not responsible for paying down the principal of the loan. A lower monthly payment frees up money that you can use for other purposes, such as investing. Also, your entire monthly payment during the interest-only period should be tax deductible, which may contribute to a refund each year. As you can see, interest-only mortgages are an excellent choice in certain circumstances. To learn more about how an interest-only mortgage might be right for you, contact our professional mortgage team today. We are happy to share our experience to find mortgage financing that perfectly suits your needs.